I am excited today to be taking part in Marte and Marta's awesome Mailbox Surprise series. 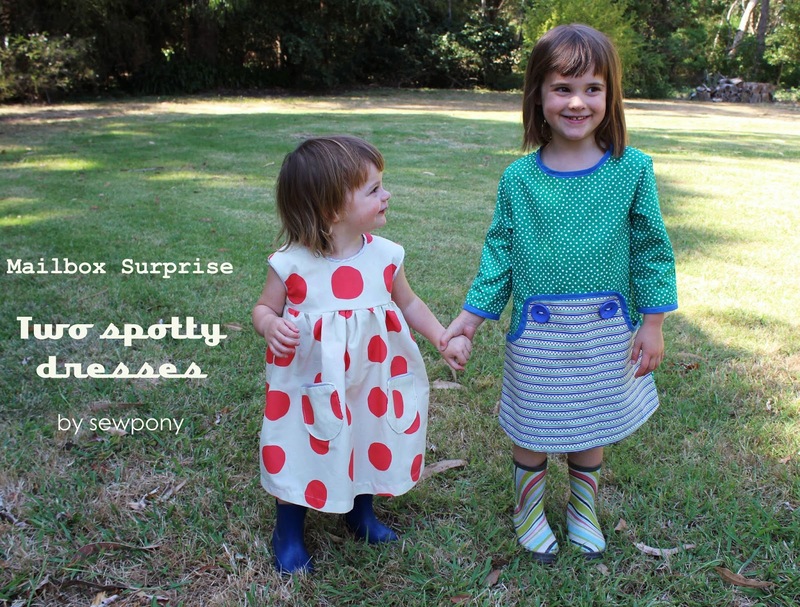 I made two dresses for two of my daughters from some awesome fabrics I was sent... to find out more, please head over to Marte's blog!! Thanks for having me guys! I loved seeing these dresses so much!!! Very creative use of those fabrics! So cute! The both look so pretty!